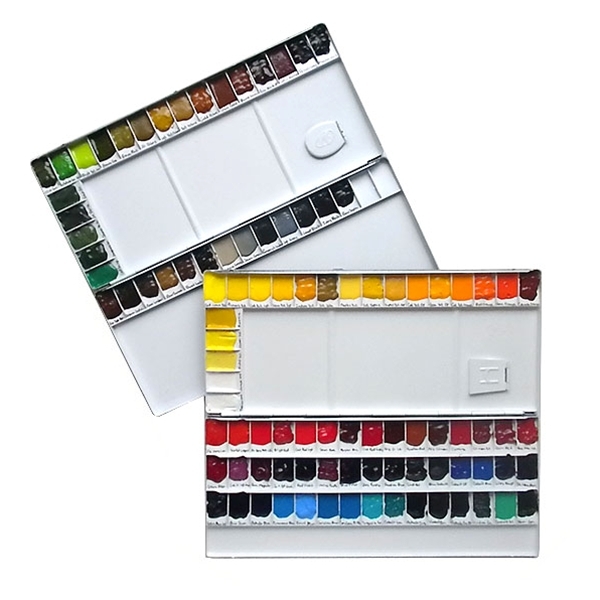 This incredible Sennelier Watercolor pan set includes one each of every single watercolor that Sennelier makes, that’s right all 98. These sets were hand crafted from tubes of Sennelier Extra Fine Watercolors that were squeezed into two enamel coated metal palette boxes with thumbholes. Both boxes are approximately 6”x13.75” when closed for travel and 12”x13.75“ when open for painting. One box has 65 wells and the other 35 wells providing the entire selection in an easy to carry, easy to use, portable format. Every color name is hand labeled on the wells using a permanent in marker, so you can easily replace colors as needed. 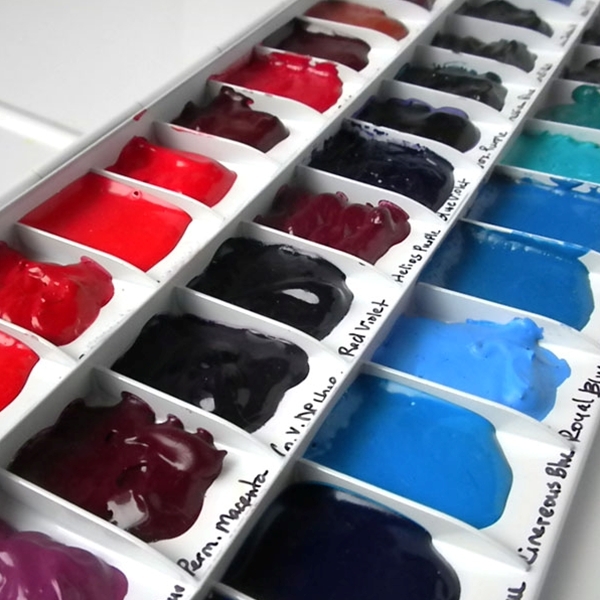 Just add water and the entire world of Sennelier watercolors are ready for painting! 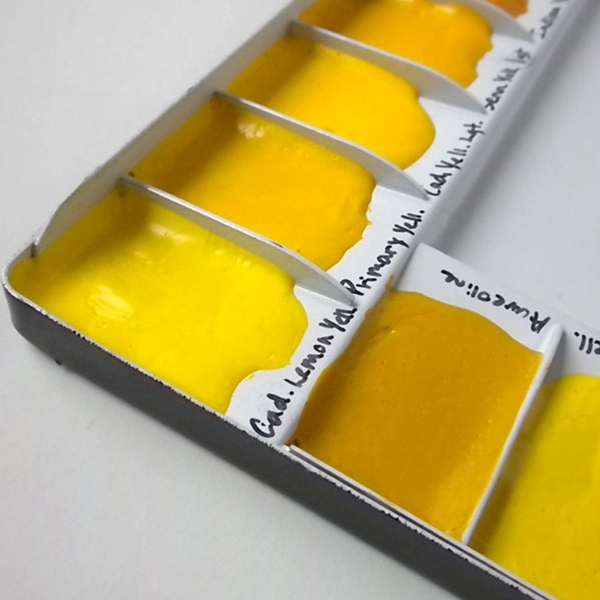 This is a very economical way to purchase one of every color of Sennelier’s Extra Fine Watercolors.